Guys! You did it! You made it a whole 48 hours. Did you hit your goals? (It’s okay if you didn’t!) Did you eat delicious things and get lots of snuggly reading time in? Your hosts had a great time with each and every one of you, whether you were checking in on the reg or not. And there were A LOT of you. Our previous record for readathon participants was 1,400; this weekend, we welcomed 1,850 of your gorgeous faces to #24in48 with us and all three of us are totally overwhelmed by the love. We had lots of first timers and its so great to see this little thing growing. If you won here (or during any of the previous door prizes or challenges), go to the Prize Page and pick out your top three choices. Put it on your calendars, request the time off work now, and get your TBRs ready. Next, we’d love to know how the readathon went for you. There were some changes this time and a lot of you were newbies, so tell us in the closing survey how this round went and if there’s anything you’d like to see change. Lastly, if you hit 24 hours, you’re eligible to win one of four prize packs, generously donated by our great sponsors. Fill out the form below to provide proof of your full 24 hours read BEFORE midnight ET on Tuesday, January 30th. We’ll announce the winners of those packs next week. As always, friends, it’s been a wonderful weekend and from all three of your hosts, thank you for joining us and we hope to see you back here in July. BREATHE. Move. Stretch. Breathe again. Repeat as needed. Enjoy yourself — and enjoy that book you’re reading. If you AREN’T enjoying it, put it down! Read something else, go for a walk, give your brain a change of pace/story/language/direction/things to think about for a bit. This readathon is for you, not anybody else. So someone else read 456 books in 24 hours, and you’ve not yet finished one? Who cares. This isn’t a competition. Have fun with it, appreciate this time carved out for reading, and–most importantly–you do you, friend! Don’t worry about making or breaking your goals at this point. It’s easy to look at the 3-hour countdown and feel like you have to read for EVERY SINGLE MINUTE OF IT to hit your time goals, but goals are just that — goals — and it’s totally ok not to reach them. I (Kerry) have had readathons where I’ve read the full 24 hours, and readathons where I’ve barely eeked out 3 hours of audiobook, and that in the car while driving to some event or another. It’s all good. Sometimes it’s the trying that is the most important part. (Whoa, we’re getting all kind of deep and meaningful this late in the game, apparently). We love you all, we’re so excited you’re a part of this, and we can’t wait to cheer in these last few hours with you all. If you’ve won a prize here (or on any of the past hours — don’t forget to check! ), you can claim your prize at the Prizes Page. And don’t forget, you still have time to enter the LAST CHALLENGE from Hour 42, which is open until hour 48 (aka the finish line!). Go check out the Prize page and make your picks. AND FOR OUR VERY LAST CHALLENGE OF THE READATHON, we want to to see your covers! Find the best book cover and the worst cover on your shelves and post a photo of them on social media (don’t forget to hashtag them with #24in48). Drop the link to your photo in the form below. We’ll pull winners at Hour 48 (the end of this journey!). Until next post, happy reading. If you won a prize here (or on a past post… don’t forget to check!) you can claim your prize over on the Prize Page. And don’t forget you can still enter the Bookends Challenge from Hour 36, which is open until Hour 42. See you all in a few hours! We’re closing in on the end of readathon, but we’re not losing momentum! It’s the perfect time for another challenge to get you moving and sharing, so get up, stretch, and head back over to your home library. While you’re walking over there, we’ve got the winners from our last challenge! I’m always intrigued by the way readers choose to organize their shelves, if at all. Overall, I break things down by Fiction and NonFiction. Within that, I separate hardcover and paperback, and then alphabetize by author. 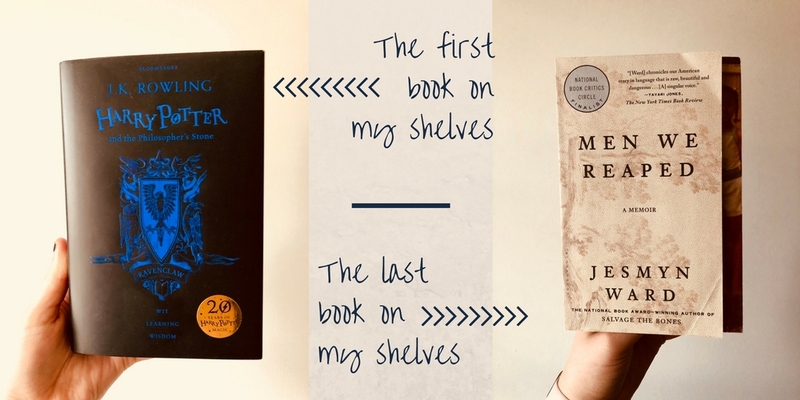 There are a few exceptions, of course; my first bookcase starts out two full shelves of various editions of Harry Potter that my partner and I have collected over the years before flowing into my romance shelves. I could go on and on, but I know you all would rather see my bookends. Show us yours, then get back to the books! We are well and truly into day two of this readathon, and you are CRUSHING IT. It’s 9am for me (Kerry), and if I know me (I think I do), I’m currently pouring myself a MASSIVE cup of coffee and getting ready for the day to come. We’ve got 15 hours left on the official readathon clock, and we believe in you. That said, we all know that the second day of a readathon can be harder than the first. Your mind starts to wander, your eyelids start to droop. So get up and move around a bit. Stretch! Walk! Breathe! Then make yourself a cup of coffee (or tea, or whatever floats your boat), focus, and get back to the books. If you’ve won a prize (here or on a past post–be sure to double check! ), visit the Prize Page to claim your prize. And don’t forget you can still enter the Share the Shame challenge from Hour 30, which is open for entries until Hour 36.